Rediscovering Americanism: And the Tyranny of Progressivism by Mark R. Levin, No. 1 bestselling book of New York Times Best Sellers. The radio host argues that the founding fathers would be shocked by the expansion of modern government. No. 1 Best Seller on Friday, July 7, 2017. 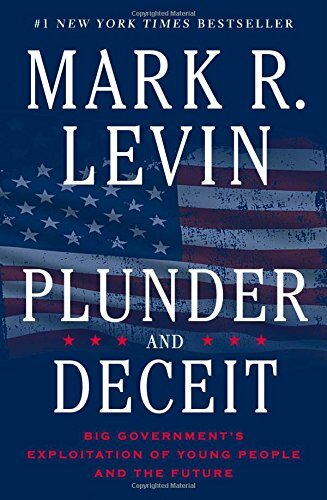 From #1 New York Times bestselling author and radio host Mark R. Levin comes a searing plea for a return to America’s most sacred values. In Rediscovering Americanism, Mark R. Levin revisits the founders’ warnings about the perils of overreach by the federal government and concludes that the men who created our country would be outraged and disappointed to see where we’ve ended up. Levin returns to the impassioned question he’s explored in each of his bestselling books: How do we save our exceptional country? Because our values are in such a precarious state, he argues that a restoration to the essential truths on which our country was founded has never been more urgent. Understanding these principles, in Levin’s words, can “serve as the antidote to tyrannical regimes and governments.” Rediscovering Americanism is not an exercise in nostalgia, but an appeal to his fellow citizens to reverse course. 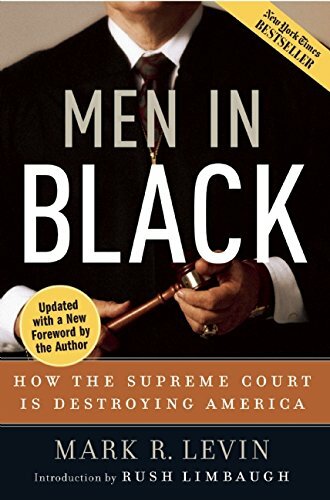 This essential book brings Levin’s celebrated, sophisticated analysis to the troubling question of America’s future, and reminds us what we must restore for the sake of our children and our children’s children. Don’t miss syndicated radio host and author Mark Levin’s #1 New York Times acclaimed and longtime bestselling manifesto for the conservative movement. 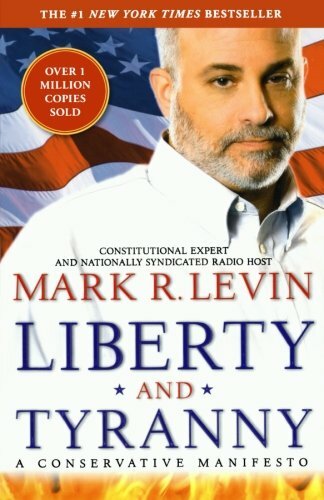 When nationally syndicated radio host Mark R. Levin’s Liberty and Tyranny appeared in the early months of the Obama presidency, Americans responded by making his clarion call for a new era in conservatism a #1 New York Times bestseller for an astounding twelve weeks. 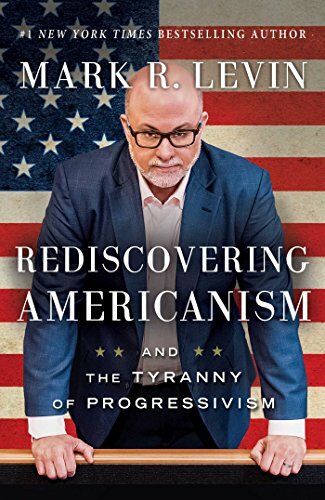 As provocative, well-reasoned, robust, and informed as his on-air commentary, with his love of our country and the legacy of our Founding Fathers reflected on every page, Levin’s galvanizing narrative provides a philosophical, historical, and practical framework for revitalizing the conservative vision and ensuring the preservation of American society. In the face of the modern liberal assault on Constitution-based values, an attack that has resulted in a federal government that is a massive, unaccountable conglomerate, the time for reinforcing the intellectual and practical case for conservatism is now. In a series of powerful essays, Levin lays out how conservatives can counter the tyrannical liberal corrosion that has filtered into every timely issue affecting our daily lives, from the economy to health care, global warming to immigration, and more. The long-awaited new book on how to fix our broken government by the #1 New York Times bestselling author of Liberty and Tyranny and Ameritopia. 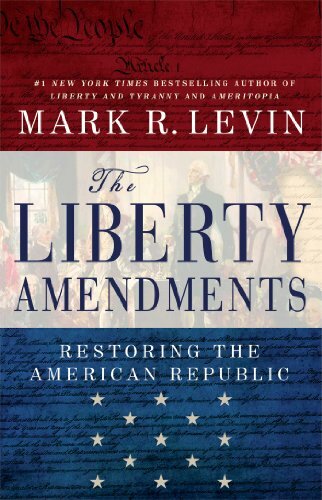 In his #1 bestsellers Liberty and Tyranny and Ameritopia, Mark R. Levin has all but predicted the current assault on our individual liberties, state sovereignty, and the social compact—the inevitable result of an all-powerful, ubiquitous central government. Fortunately, such dire circumstances were anticipated by the Founding Fathers, who gave us the means to amend the Constitution in order to preserve our rights and pre­vent governmental behemoths. Here, Levin turns to the Constitution and its Framers to lay forth eleven specific prescriptions, thoughtfully con­structed within the Framers’ design, for restoring the American Republic. His proposals are pure common sense, ideas shared by many—such as term limits for members of Congress and Supreme Court justices and lim­its on federal taxing and spending—that draw on the wisdom of James Madison, Benjamin Franklin, Thomas Jefferson, and others. With The Liberty Amendments, the American people can take the first step toward reclaiming what belongs to them. In each of his astounding #1 New York Times bestsellers, Mark R. Levin’s overlying patriotic mission has been to avert a devastating tragedy: The loss of the greatest republic known to mankind. But who stands to lose the most? In modern America, the civil society is being steadily devoured by a ubiquitous federal government. But as the government grows into an increasingly authoritarian and centralized federal Leviathan, many parents continue to tolerate, if not enthusiastically champion, grievous public policies that threaten their children and successive generations with a grim future at the hands of a brazenly expanding and imploding entitlement state poised to burden them with massive debt, mediocre education, waves of immigration, and a deteriorating national defense. This essential new book is, against all odds, a likeminded appeal to reason and audacity—one intended for all Americans but particularly the rising generation. Younger people must find the personal strength and will to break through the cycle of statist manipulation, unrelenting emotional overtures, and the pressure of groupthink, which are humbling, dispiriting, and absorbing them; to stand up against the heavy hand of centralized government, which if left unabated will assuredly condemn them to economic and societal calamity. Levin calls for a new civil rights movement, one that will foster liberty and prosperity and cease the exploitation of young people by statist masterminds. He challenges the rising generation of younger Americans to awaken to the cause of their own salvation, asking: will you acquiesce to a government that overwhelmingly acts without constitutional foundation—or will you stand in your own defense so that yours and future generations can live in freedom? No. 1 Best Seller on Friday, June 23, 2017. Donald Trump is unlike any president we’ve ever had. He is the only person ever elected to be commander in chief who has not first held public office or served as a general in the military. His principles grow out of five decades of business and celebrity success-not politics-so he behaves differently than do traditional politicians. In UNDERSTANDING TRUMP, Newt Gingrich shares what he learned from more than two years helping Trump and his team throughout the campaign, the election, and during the first months of the presidency. Mr. Gingrich provides unique insight into how the new president’s past experiences have shaped his life and style of governing. 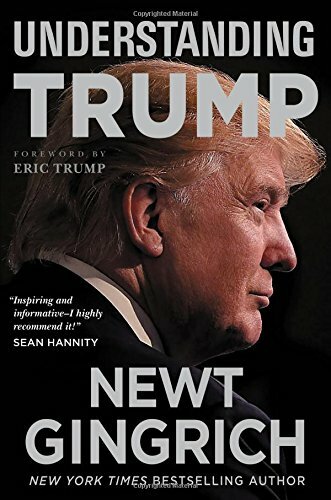 This book also includes Mr. Gingrich’s thorough analysis of how President Trump thinks and makes decisions, as well as the president’s philosophy, doctrine, and political agenda going forward. 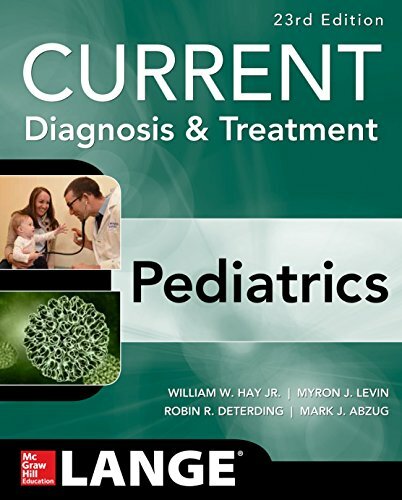 Further, these pages hold a detailed discussion of Trump-style solutions for national security, education, health care, economic growth, government reform, and other important topics. Mr. Gingrich also identifies the forces in the Washington establishment, media, and bureaucracy that will oppose the president at every turn. Finally, UNDERSTANDING TRUMP explains the president’s actions so far and lays out a vision for what Americans can do to help make President Trump’s agenda a success. The president owes his position to the people who believed in him as a candidate, not to the elites in government and media who have expressed contempt for him since he began his campaign to become president. The very essence of Trump’s mission is a willingness to enact policies and set goals that send our country in a bold new direction – one that may be “unreasonable” to Washington but is sensible to millions of Americans outside the Beltway. Only with the country’s help will President Trump be able to overcome the entrenched interests in Washington and fulfill his promise to make America great again for all Americans. Superstar comedian and Hollywood box office star Kevin Hart turns his immense talent to the written word by writing some words. Some of those words include: the, a, for, above, and even even. Put them together and you have the funniest, most heartfelt, and most inspirational memoir on survival, success, and the importance of believing in yourself since Old Yeller. The question you’re probably asking yourself right now is: What does Kevin Hart have that a book also has? A book is compact. Kevin Hart is compact. A book has a spine that holds it together. Kevin Hart has a spine that holds him together. A book has a beginning. 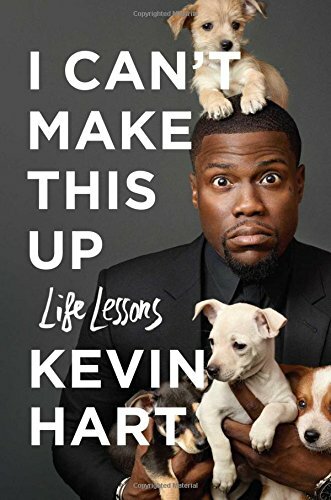 Kevin Hart’s life uniquely qualifies him to write this book by also having a beginning. It begins in North Philadelphia. He was born an accident, unwanted by his parents. His father was a drug addict who was in and out of jail. His brother was a crack dealer and petty thief. And his mother was overwhelmingly strict, beating him with belts, frying pans, and his own toys. The odds, in short, were stacked against our young hero, just like the odds that are stacked against the release of a new book in this era of social media (where Hart has a following of over 100 million, by the way). But Kevin Hart, like Ernest Hemingway, JK Rowling, and Chocolate Droppa before him, was able to defy the odds and turn it around. In his literary debut, he takes the reader on a journey through what his life was, what it is today, and how he’s overcome each challenge to become the man he is today. And that man happens to be the biggest comedian in the world, with tours that sell out football stadiums and films that have collectively grossed over $3.5 billion. He achieved this not just through hard work, determination, and talent: It was through his unique way of looking at the world. Because just like a book has chapters, Hart sees life as a collection of chapters that each person gets to write for himself or herself. No. 1 Best Seller on Saturday, June 10, 2017. From Senator Al Franken – #1 bestselling author and beloved SNL alum – comes the story of an award-winning comedian who decided to run for office and then discovered why award-winning comedians tend not to do that. 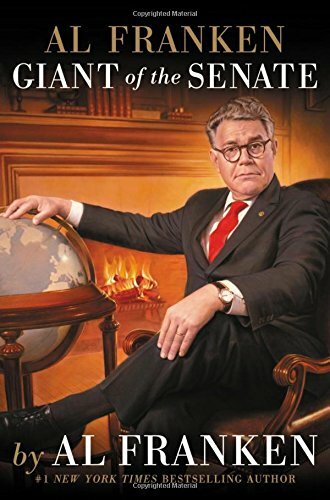 It’s a book about what happens when the nation’s foremost progressive satirist gets a chance to serve in the United States Senate and, defying the low expectations of the pundit class, actually turns out to be good at it. It’s a book about our deeply polarized, frequently depressing, occasionally inspiring political culture, written from inside the belly of the beast. 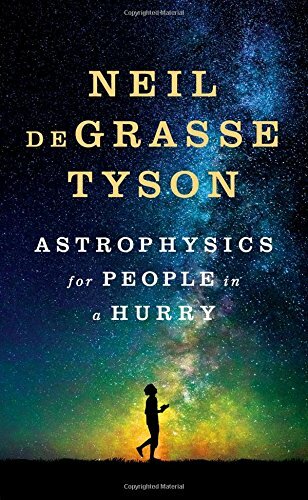 The #1 New York Times Bestseller: The essential universe, from our most celebrated and beloved astrophysicist. From Facebook’s COO and Wharton’s top-rated professor, the #1 New York Times best-selling authors of Lean In and Originals: a powerful, inspiring, and practical book about building resilience and moving forward after life’s inevitable setbacks. 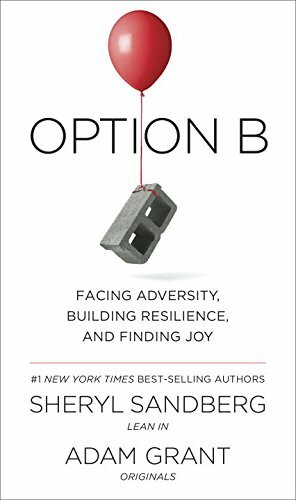 Option B combines Sheryl’s personal insights with Adam’s eye-opening research on finding strength in the face of adversity. Beginning with the gut-wrenching moment when she finds her husband, Dave Goldberg, collapsed on a gym floor, Sheryl opens up her heart—and her journal—to describe the acute grief and isolation she felt in the wake of his death. But Option B goes beyond Sheryl’s loss to explore how a broad range of people have overcome hardships including illness, job loss, sexual assault, natural disasters, and the violence of war. Their stories reveal the capacity of the human spirit to persevere . . . and to rediscover joy. Resilience comes from deep within us and from support outside us. Even after the most devastating events, it is possible to grow by finding deeper meaning and gaining greater appreciation in our lives. Option B illuminates how to help others in crisis, develop compassion for ourselves, raise strong children, and create resilient families, communities, and workplaces. Many of these lessons can be applied to everyday struggles, allowing us to brave whatever lies ahead. Two weeks after losing her husband, Sheryl was preparing for a father-child activity. “I want Dave,” she cried. Her friend replied, “Option A is not available,” and then promised to help her make the most of Option B. We all live some form of Option B. This book will help us all make the most of it.